Ed: With April 15th coming and a lot of folks filing their 2017 taxes currently, we thought it would be wise to begin to discuss what your taxes might look like next year. We asked Zain Nensey of Nensey & Associates CPA's to talk about the changes to the tax code you'll see in 2018, and to help you start preparing now so you'll be prepared to receive all the benefits of the changes in the law! Be aware of these changes now, so you'll be more prepared next filing season! The 2017 tax law changes are the most comprehensive reforms to the Internal Revenue Code in the last 30 years. While Congress adopts minor changes to the code every year, these new laws will affect every taxpayer, whether large business, small business, and individuals of every income and category. Today we will talk about changes that affect mostly small business and individual taxpayers. All of these tax law changes begin as of January 1, 2018, so they will not affect your 2017 tax return. You shouldn't see too much change when filing this year. There are new laws offer a number of beneficial provisions for businesses. The first is the 20% pass through small business deduction. The small business deduction allows taxpayers with income of less than $157,500 ($315,000 if married and filing a joint return) to claim 20% of their income as a deduction. Certain types of businesses (such as medical, law, or accounting practices) do not qualify for the deduction unless they meet certain other income and expenses tests. Businesses also qualify for 100% bonus depreciation of assets. In the past, the amount was 50% and could only be used for brand new property (taxpayer was the first to purchase it). Now this deduction can be used for any depreciable property bought by the taxpayer. Lastly, the Section 179 deduction has increased from $500,000 to $1 million! Most taxpayers are seeing a drop in their tax rates. The new tax brackets are 10%, 12%, 22%, 24%, 32%, 35%, and 37% (from 10%, 15%, 25%, 28%, 33%, 35%, and 39.6%). Not only that, the brackets have been widened, allowing for lower taxes for all taxpayers. Also the standard deductions have been doubled for most taxpayers starting in 2018. The downside to the increased standard deduction is the suspension of some personal and dependent exemptions. While less taxpayers are likely to itemize because of the increased standard deduction, there are some changes for those taxpayers who do itemize. The combined state income, sales, and property tax deduction is capped at $10,000. Taxpayers may only deduct mortgage interest on the first $750,000 of mortgage loans. This was lowered from $1 million previously. Taxpayers can deduct medical expenses over 7.5% of their Adjusted Gross income (the previous floor was 10%). Charitable Contributions: Taxpayers can deduct up to 60% of their AGI in charitable contributions (the previous limit was 50%). Taxpayers making donations for the right to purchase season tickets may no longer deduct these contributions. Donations to college athletics for all other purposes are still deductible. The Child Tax Credit has increased from $1,000 to $2,000, and the refundable portion has increased from $1,000 to $1,400. The credit is now available to taxpayers with incomes of $200,000 ($400,000 if married filing jointly). There is also a $500 nonrefundable tax credit for qualifying relatives. Taxpayers may no longer deduct moving expenses, and companies that pay moving expenses for their employees must include the moving expenses in the employee’s income. Taxpayers may not deduct alimony for agreements entered into after 12/31/2018, and recipients do not need to report alimony income on their returns. If you are looking at getting divorced, it would be best to complete the divorce before year-end. The tax law changes offer benefits for almost everyone. Most taxpayers will see benefits in the next five years, particularly individuals. Anyone who wants to start a business should strongly consider doing so now, as much of the new code is set up to benefit self-employed taxpayers and small business owners. Zain Nensey, CPA, EA is the owner and founder of Nensey & Associates CPAs. Prior to starting his firm, he served as a subject matter expert for Jackson Hewitt, where he worked on the tax education team. 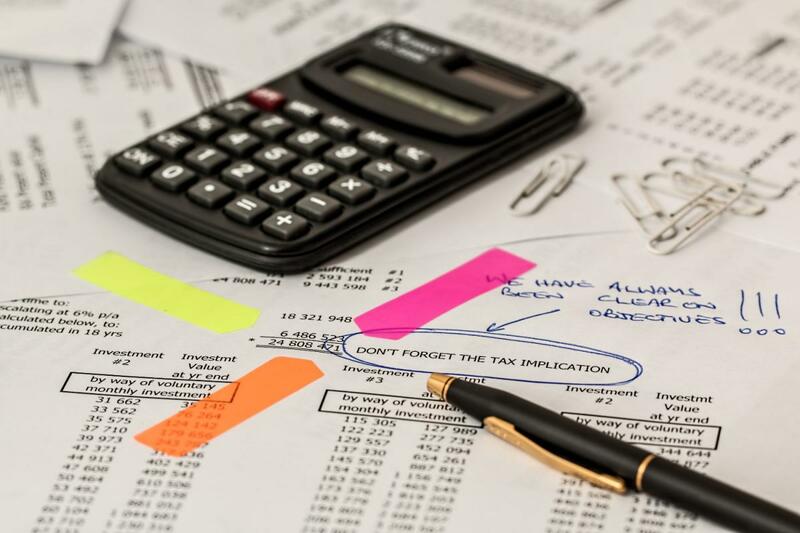 Should you have any questions, concerns, or comments about this article, or should you wish to ask Zain any tax-related questions, you can email him at znensey@nenseytax.com. Disclaimer: This article does not constitute tax or other legal advice. For any questions related to your personal tax situation, please consult a CPA. Any suggestions contained herein are general, and do not take into account an individual’s or entity’s specific circumstances or applicable governing law, which may vary from jurisdiction to jurisdiction and be subject to change. No warranty or representation, express or implied, is made by Nensey & Associates, nor does Nensey & Associates accept any liability with respect to the information and data set forth herein.